Hi everyone, Mou here with a video to introduce you to the brand new Mixed Media Transfers from Faber-Castell Design Memory Craft! In this video, I talk about the key differences between these Mixed Media Transfers and scrapbooking rub-ons that some of you might be familiar with and I also walk you through the techniques of application and coloring theses transfers. I used Mixed Media Transfers from the Tropical and Words set to create pretty postcards and notecards in this example and you can also make lovely additions to your art projects with the Feathers and Flowers sets. Click the play button below or follow this link to watch the video. I hope you enjoyed the video. Try these out and I know that you’ll have fun! Hi everyone, Mou here today with a Lettering Tutorial for you using the Essential PITT® Artist Pens BLACK! Let's take a quick look at the supplies before we start. I journal my travels in a sketchbook. Here I started with the M-tip pen to create the basic outlines. Because my trip was in the fall, I wanted to add colors to the mountains. For this, I used the Art GRIP® Aquarelle Watercolor Pencils. I blended the colors with the Deluxe Waterbrush and let it dry. I used the S-tip to write my journaling. You can use a pencil to draw a path for your journaling. 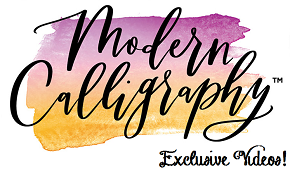 Mix and match your own handwritten fonts to create interest. Added some brush lettered fonts using the B-tip pen. Pitt® Artist pens are not just for lettering though - you can also use them for making marks like I did above using the PITT Artist Pens Lettering Set: Primary Brush and PITT Artist Pens Lettering Set: Jewel Brush to finish my page. I hope you enjoyed this tutorial and be sure to try these vibrant and permanent India Ink pens in your own journals! Carolyn Dube here playing with the Studio Caddy Premium Gift Set. It is loaded with a wonderful assortment of the rainbow with Gelatos, Paper Crafter Crayons, Art Grip Aquarelle Watercolor Pencils, Pitt Pens, and an assortment of tools. The fun variety of the goodies include ones that react to water and ones that don't react to water. Just having it all right next to me had me end up using the palette knife in a way I usually don't...but will be from now on! Hi everyone, Mou here with an art journaling tutorial showing you some techniques using Glaze medium, Gelatos color of the week Cotton Candy and a coloring book page! Let's start by looking at the supplies I used. Here's the video tutorial. Watch by clicking the play button below or follow this link. I hope you enjoyed the video and that you are inspired to use your supplies in various different ways!